Big, huge, exciting news, people! 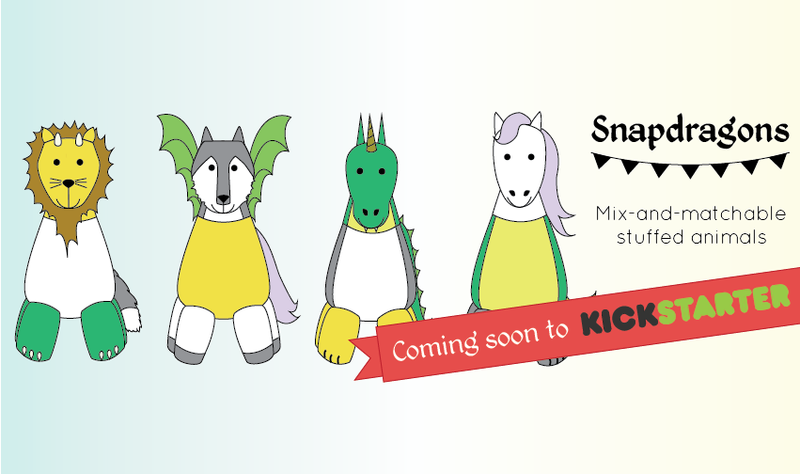 One of my best friends in the world is starting her own business, a line of mix-and-match stuffed animals called Snapdragons. She’s been working on the idea and designs for months now and this week, she sent them off to a manufacturer! The prototypes are being developed as we speak! Snapdragons are stuffed animals with interchangeable heads, bodies, legs, tails, wings, and horns. You can mix and match them in any way you want. All of the pieces attach with magnets that are safely and permanently secured inside the stuffed animal. You could put a lion’s head on a dragon’s body with a wolf’s tail. Or a unicorn’s head on a wolf’s body with dragon wings. And so on! 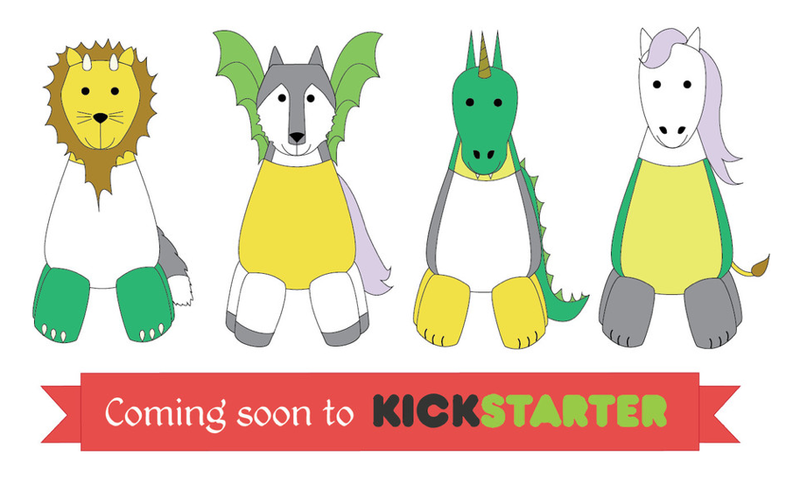 There are four creatures to mix and match: a unicorn, a dragon, a wolf, and a lion. All of the pieces attach with magnets that are safely and permanently secured inside the stuffed animal. Mixing and matching stimulates creative play and allows kids to create a creature from their imagination. The result is a lovable, huggable animal that can be disassembled and reassembled at any time. They are currently in development, final prototypes will be complete at the end of September 2014. We’ll start our Kickstarter campaign in October, and we expect to open our online store in December. Hannah Alvarez, the woman who designed and founded Snapdragons, is absolutely brilliant and an incredible artist. She’s not a bad writer either. I still have a short story that she wrote when we were in high school. It was absolutely chilling. I’m trying to convince her to write a book of short stories, with this particular one included, and I’m hoping she’s considering expanding her writing career. For now, however, please stop by and help support her newest creative endeavor, Snapdragons!